Marketing by real people appeals more to them compared to using celebrities. Apart from their smartphones and other mobile devices, they are also interested in social media’s latest tech updates and augmented reality. Note also that the population projected to use a smartphone by 2018 stands at just over 36 percent worldwide. 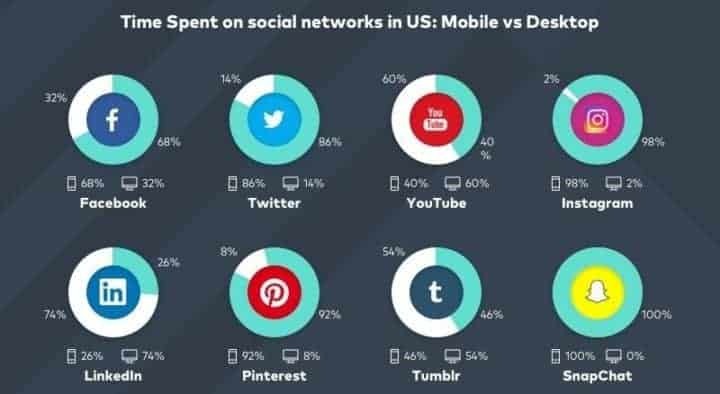 Mobile will dominate the social media marketing trends in 2018. More mobile usage calls for more mobile-ready content. Accompanying this is the increased adoption of operating systems powering mobile devices like Android by Google and iOS by Apple. And the ease with which marketers can share their content with users of these devices and push for in-app purchases. 80% of users now own a smartphone. An average of 69% users spend their media time on smartphones according to comScore, and this number will continue rising. 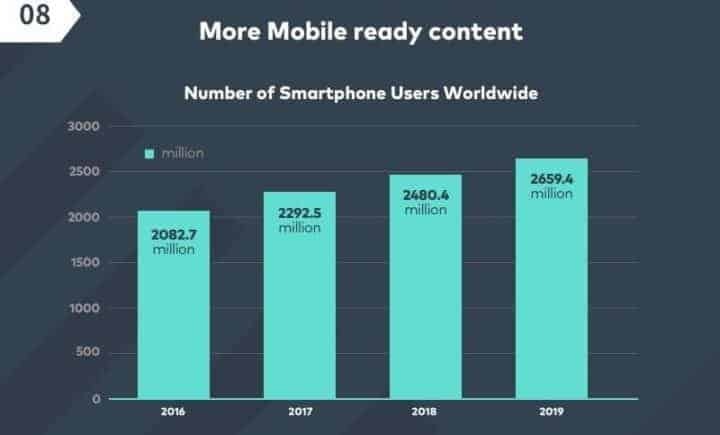 So, time spent on mobile will continue rising in 2018 compared to the previous year, 2017. For your marketing, this year, make your content – including ads – mobile-ready. Test ads on different mobile devices. And jump on mobile advertising as well, especially video ads. For your continued interaction with people you meet using social media, say via email, remember in 2018, the number of users who will access their emails exclusively from mobile devices stands at 8 out of 10. The number of mobile coupons and offers redeemed in 2018 will also be higher compared to 2017. Also, take advantage of AMP – Accelerated Mobile Pages – so your website content renders almost instantly to your visitors. Speed will help increase your e-commerce conversion rates. Amazon found that a 0.1% increase in page load times resulted in a 1% decrease in sales – a 1.3 billion dollar a year impact on sales. For Walmart, a one second decrease in page load times, resulted in a 2% increase in conversions, impacting 274 million dollars in sales a year. So, optimize everything for mobile. Next step: Test your sales funnel on most important mobile devices. Is it easy to use? How does the mobile conversion rate compare to desktop results? VR and AR adoption example is how IKEA tech helps consumers see how different furniture would fit in with the rest of the things in a room in their home. This tech enables them to lay visual data (such as the furniture on sale) to something in the real world (such as the setting of their living room). Before they buy, they can test various items on sale before settling on the right one. Technologies such as Facebook 360 Collections makes it easier to create ads that give shoppers a view of products from every angle. By 2025 the market for virtual and augmented reality will be worth 692 billion dollars. Marketers using these technologies to showcase their products and services will see more adoption, engagement, and conversions from users this year. 2018 will see an increase in tech that promotes interaction between virtual objects and the real world. Facebook augmented reality platforms like Camera Effects, SnapChat’s among others will see increased adoption this year. More and more commerce applications are taking advantage of AR and VR. AR/VR delivers users 3D mapping, object recognition, and localization as tech gets better. Furniture and decor online retailer, Wayfair.com, for example, has an AR-powered shopping app available to its customers. 2018 will see more brands taking this route to showcase how their products mesh with their customers’ reality (i.e., belonging such as homes). The WayfairView AR app is integrated directly into their mobile shopping app. An app that leverages Google’s AR tech, Tango, making the full-scale view of virtual furniture and decor possible for Wayfair’s many customers. The app helps its customers find the items that meet their needs, style, and budget. On the hardware front, Wayfair is taking advantage of AR-friendly devices such as ASUS ZenFone AR offered by Verizon. Social media marketing trends 2018 will see more widespread access to AR-friendly devices to consumers – and apps that make shopping more appealing and engaging. iPhone and iPad users will also see more apps that allow 3D view features enabling marketers to leverage the resources provided by Apple AR platform on iOS 11. Next step: Find out how businesses use VR and AR in your industry. Analyze if this is something you should invest in. Check out part one of the trend series The Most Significant Social Media Marketing Trends for 2018. Constantly improving internet speeds, network technologies and cheaper internet connection fees are going to make video creation and consumption widely available to more people. According to Filmora, 80% of global internet traffic will be attributed to video by 2020. Of content shared on social networks, video accounts for 90%. This may be because 95% of the message in video content is retained, compared to text which stands at 10%. The number of marketers that will use video content in their campaigns also stands at 87%. 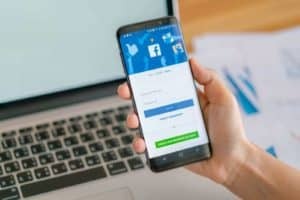 Popular platforms from Facebook, Linkedin, Medium, Pinterest, Twitter to apps like Instagram and SnapChat have invested in tools to help marketers connect, engage and grow followership on their platforms. If you’ve been blogging using mostly text, 2018 is the year for you to add vlogging into the mix. Next step: Make a list of content that you already have and can turn into videos. 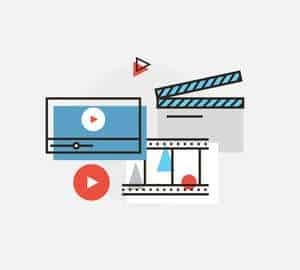 Create a publishing schedule to make videos from all your best content, products, and services. 2018 will see increased use of artificial intelligence and chatbots in various business processes. Platforms like Facebook Messenger work for customer service automation as well as a marketing tool. In providing 24/7 services, 80% of chatbots will be handy for marketers in this area. Note also that of conversations aimed at real-time engagement with customers, 30% are going to be steered by chatbots. Chatbots are going to be increasingly used as customer service agents. They are going to be used to take customer orders, helping businesses shorten the time it takes to deliver a pizza from a shop to the buyer. The number of monthly active bots on Facebook Messenger is also likely to rise from the current 12,000. Apart from this, more conversion rate optimization minded marketers will deploy live chat tech to engage their customers and prospects in real-time. Next step: Take a look at competitors who use chatbots. Use their chatbots and write down what would be useful in your business. Also, make a note of all the annoying factors you should avoid in your chatbot implementation. Influencers are going to play a big role in connecting brands and consumers in 2018. More buyers crave more authentic recommendations. While marketers crave more ways to reach the right people without spending a fortune on ads. So, influencer marketing is going to be big. According to Filmora, 94% of marketers consider it an effective strategy for their social media efforts. Influencers bring a 10 times increase in conversions. And the number of Twitter and Instagram users relying on influencer recommendations stands at 49%. 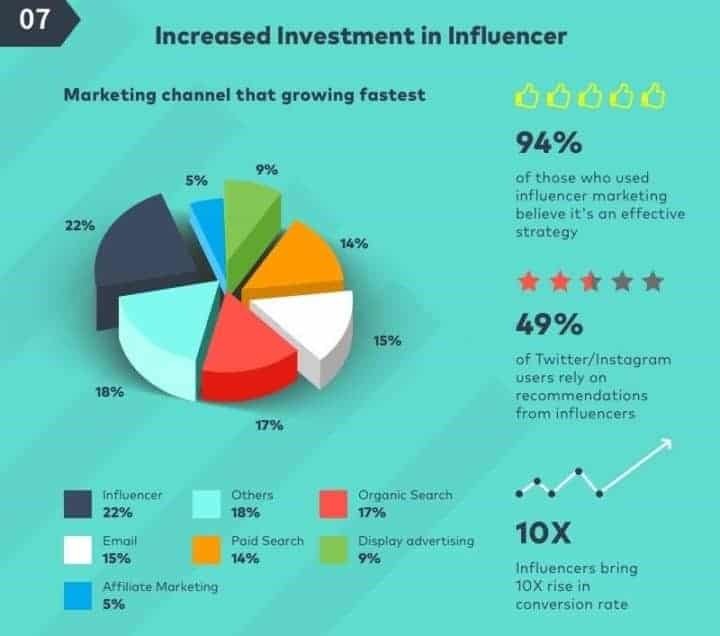 Of marketing channels growing the fastest, influencer marketing takes the lead. It stands at 22% compared to organic search (at 17%), email (at 15%), paid search (at 14%), display advertising (at 9%), affiliate marketing (at 5%) and others (at 18%). MDG Advertising, says there will also be a shift from macro-influencer with huge followings to micro-influencers with less than a 100, 000 followers. For two reasons: campaign costs and post engagement. Another reason for this shift will also be because of trust. 70% of YouTube users relate more to the creators of the channels they subscribe to than to celebrities. Next step: Create a list of 10 to 20 influencers in your industry. The independent ones who do not work for other businesses. Start getting friendly whit them. 2018 will see increased usage of ephemeral content by brands to engage their audience. Short-Lived Content is content that lasts up to 24 hours, and then it disappears. Users fearing to miss out on what is shared will be compelled to check out the content, resulting in high engagement rates. This phenomenon will also result in more authentic content created on the go for mobile devices. Platforms like Instagram and SnapChat (with Stories) will cause more users to pay attention to marketers’ calls to action. Using Instagram Stories, marketers will also be able to direct more people to offers shared on a landing page on their website. By adding a link to their website from the Instagram Stories they create. Next step: Find out how successful marketers use the short-lived content. Create a list of areas where you can use this approach in your marketing. Make sure you take a look at the Content Marketing Trends You Need to Know. 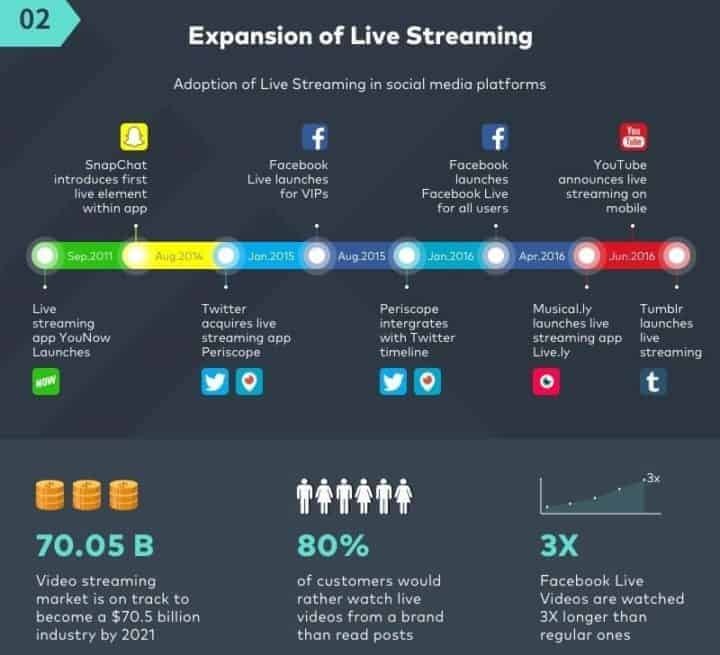 Many social media platforms have adopted live streaming of content and are constantly improving features to make streaming and live video better. Live video resonates well with many users. Compared to regular videos, Facebook Live Videos watch time is three times longer. Marketers should also know that the number of customers who would rather watch live videos than read posts created by their brand stands at 80% according to the Filmora stats above. The market for video streaming is also growing rapidly. By 2021, it’s poised to become a 70.5 billion dollar industry. Any platform you look at now, more users are embracing live video and streaming of content. Next step: Create a list of your best content and make a schedule to broadcast this material in live video format. In 2018 we’ll see more creative use of technology provided by various platforms by marketers leveraging them for brand exposure, engagement and sales conversions. There will be closer integration of search and social media – including voice search. Improved metrics to better measure social media marketing ROI (return on investment) will also be made widely available. For example in tools/analytics that help brands better measure the impact of their social activities using metrics that go beyond vanity numbers, e.g., likes, number of followers, and retweets. 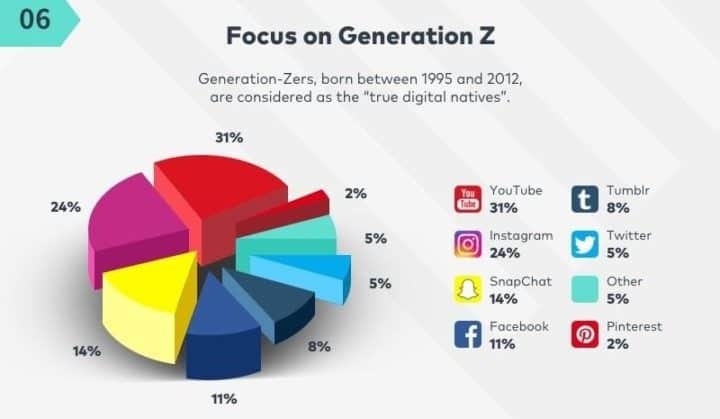 There will also be more attention given to quality user-generated content especially as concerns authentic influencer marketing joint ventures between brands and users of products with great follower numbers, e.g., on YouTube channels or podcasts. This is for marketers who want to see increased social media engagement and conversions. There will also be an increase in social commerce, with increased integration of e-commerce features on various social platforms, for example, Facebook business pages, and niche groups. All these trends and advancements in the social media space should help you create more personalized communications for your audience in 2018. Take advantage of the tools offered you by the various platforms for brand exposure and business growth – including the use of messaging apps (as they will continue seeing wide adoption amongst consumers). Make the content in your messages highly personalized. Also bear in mind that according to the Infusionsoft survey mentioned above, 46% of small business owners don’t know if their marketing strategies are working. Only 37% see the effectiveness of their marketing efforts. 17% know their strategies aren’t working. What this means to you, is that you should start working on your social media marketing early. Test one platform for awhile instead of trying to do everything on every platform. Next step: Don’t try to do everything at once. Select the activities that seem most promising and focus on that. If you spread your effort too thinly across all activities, you will not get the results you deserve. Learn from your efforts and then reiterate as need be. Be ready to spend money to get results. It doesn’t have to be a lot. But you have to be creative in your approach to leveraging the social media platforms for your marketing needs in 2018. Learn about what other brands do. Use the best techniques from their story and apply it to your marketing campaigns. Find the time to do all this. 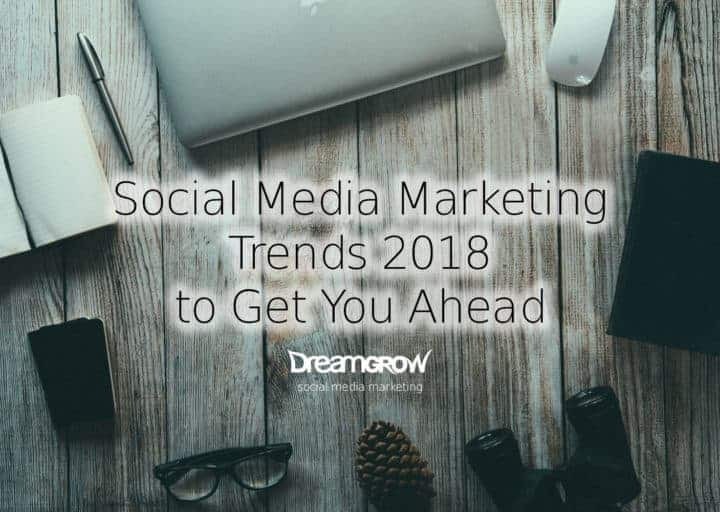 Put in the time to ride the wave of these social media marketing trends. And gradually you will see more success from your marketing this year.